Here the speakers of our conference introduce themselves to you. The information will be updated continuously. Annett Arnold is a university-certified social education worker and in 2005 followed her calling to TeenSTAR, a program concerning sexual pedagogy with the goal of value-oriented personality-building for young people. After the first couple of years teaching fourth graders, she and her colleague Elisabeth Pesahl created the family-oriented program TeenSTAR Kids for boys and girls aged 9 to 11. Since 2011 she has been supporting the TeenSTAR Kids course leaders and has been working as a part-time TeenSTAR course leader with teenagers in the Lebensrechtsarbeit Chemnitz Family Center of KALEB e.V. Born in Spain, he studied economics and law in Madrid and graduated in 1985. In the same year, after meeting the Comunione e Liberazione/Community and Liberation movement (CL), he entered the Diocesan Seminary of Madrid, where he was ordained a priest in 1992. He then served in a parish and taught in a state high school. At the request of Don Luigi Giussani, the founder of CL, he moved to Vienna in 1996, where he taught for 16 years at state high schools and was also the head of the university pastoral ministry. During this time he lived in the house of the Priestly Fraternity of the Missionaries of San Carlo Borromeo, which he joined, and worked on the development of CL in Austria and its growth in neighboring countries. In 2012 he moved to London, where he worked for a year in the Apostolic Nunciature, and from 2013 to 2017 he was parish priest in Maidenhead, where he also served as chaplain and board member of the Catholic St Edmund Campion School. Since 2017 he is principal of the schools of the Fondazione Sacro Cuore in Milan. Dr. med. Dip. theol. Adolf Diefenhardt (born 1960) is a GP and has headed the St. Josefshaus in Rheinfelden, an institution for 700 people with mental and multiple disabilities since 2015. Previously, he had been managing director of the Lubaga Hospital in Kampala/Uganda for four years. He studied medicine and theology in Freiburg, Paris and Dublin. Dr. Diefenhardt and his wife Maria Giovanna have six children. They spent a total of 17 years in Africa, where Dr. Diefenhardt worked as medical director of several hospitals as well as a UN refugee camp. From 1998 to 2004 he was regional coordinator of Malteser International for several African countries, from 2005 to 2011 he was deputy managing director and medical director of the German Leprosy and Tuberculosis Relief Würzburg and responsible for projects in more than 30 countries worldwide. Francesca Diefenhardt is 26 years old and a student of German, sports and Catholic religion for the teaching profession in Munich. Due to her father's work she was born in Africa (Uganda) and moved several times until the family settled in Dettelbach (Lower Franconia) in 2004/2005. At the age of 15 she spent a year in Villanueva de la Canada (Madrid). There she also attended a TeenSTAR course, which the mothers of some friends had initiated that same year for the first time. Starting from the teenage and human search for an answer to the question: "Who am I? ", the experience in this course influenced her positively and contributed to her saying to the leader of the course at the end of her year abroad: "I am happy that I have discovered myself a little more as a woman." 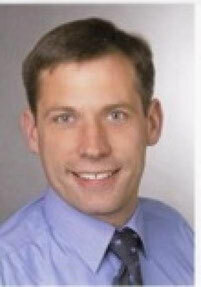 Dr. Stefan Endriß (born 1973) studied Catholic theology in Freiburg, Munich and Rome from 1993 to 1999. From 2000 to 2005 he worked as a research associate in the department of Dogmatics in Trier and earned his doctorate degree with a thesis on Hans Urs von Balthasar and Sören Kierkegaard. 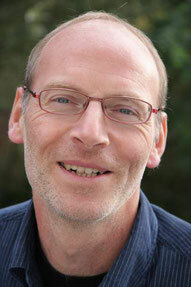 He taught Catholic education at two high schools near Freiburg and works at the Institute for Religious Pedagogy. Since he was a student, he has been familiar with the theology of the body and is working on a scientific paper about the marriage catecheses of John Paul II. in moral theology. In addition, he wrote a publication ("Liebe mit Körper und Geist. Die kirchliche Sicht der Sexualität Jugendlichen nahegebracht. Mit einem Geleitwort von Bischof Rudolf Voderholzer") inspired by the theology of the body. He is married and father of two sons. Eberhard Freitag (born 1966), married, two daughters, nurse, qualified pedagogue, systemic counselor, founded and manages together with his wife the "return-Fachstelle Mediensucht" in Hanover, an institution for prevention, counseling/therapy, advanced training and publications in the subject area of "media addiction", founding member of the Fachverband Medienabhängigkeit e.V., various lecturing activities in church and secular contexts. 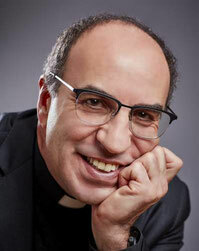 Prof. José Granados dcjm is a priest of the Disciples of the Hearts of Jesus and Mary. He is Deputy Dean and Full Professor of Dogmatic Theology of Marriage and the Family at the Pontifical Institute of John Paul II in Rome. 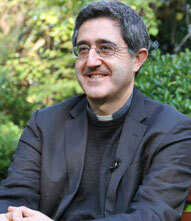 He is an advisor to the Dicastery for Laity, Family and Life. From 2004 to 2009 he taught at the Catholic University of America in Washington DC at the American Section of the Pontifical Institute of John Paul II. He graduated in theology from the Pontifical Gregorian University in Rome (Bellarmine Award). He also holds a degree in Industrial Engineering and Operations Research from the Universidad Pontificia de Comillas (ICAI), Madrid. Dr. des. 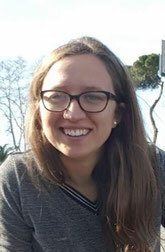 Katja Hess is a research assistant at the Department of New Testament Studies at the Catholic University of Eichstätt-Ingolstadt. She was born in Friedrichshafen in 1983 and studied Catholic Theology and German Studies (LA Gymnasium) in Freiburg i.Br. from 2003-2006. She continued her studies as a teacher in Munich and deepened her knowledge of Catholic Theology with a degree in Christian Philosophy. From 2012-2014, she worked as a research assistant at the Department of Moral Theology at the KU Eichstätt-Ingolstadt. 2014-2017 she received her doctorate in New Testament Studies under Prof. Dr. Lothar Wehr with a thesis on the Acts of the Apostles. 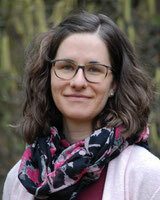 She is currently beginning her habilitation thesis in the field of Johannine writings. 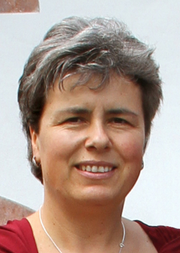 Ruth Kanal was born in 1966 in Ravensburg and grew up there. After a year as an aupair in Italy, she later graduated from the SDI Munich, a language and interpreting institute, and became acquainted with the movement Comunione e Liberazione. In 1997, she got an offer as assistant editor in Rome where she met her husband Andrea, whom she married in 2003. After 7 years of an unwanted childless marriage, her husband was diagnosed with an incurable tumour at the moment when the path to adoption of children was clear. After a year of struggle, life and love, he died in 2011. 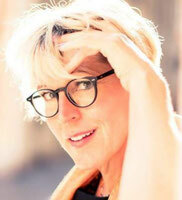 Ruth Kanal continues to live and work in Rome and has rediscovered the beauty of life. God only allows something to happen so that I can live my life in a relationship with him at eye level. This became possible when I released my questions and my longings for love and meaning with the serious expectation of an answer. When I was looked at in concrete circumstances with a gaze of love and willingness, I could then discover this gaze in many situations in my life and my life has become an adventure to find and imitate HIM over and over again. Mauro-Giuseppe Lepori since 2010, Mauro-Giuseppe Lepori has been elected General Abbot of the Order of Cistercians, which is widespread throughout the world and to which more than 2000 women and men belong. He is from Ticino and studied philosophy and theology at the University of Fribourg in Switzerland before joining the Order in 1984. He was ordained a priest in 1990. 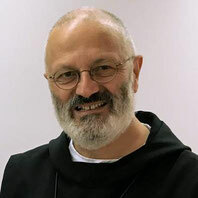 In 1994, his confreres elected him abbot of Hauterive Monastery in Switzerland. Mauro-Giuseppe Lepori holds retreats for different target groups. He also became known through several publications, including Simon Petrus, Von der Freude, sich Gott zu nähern(2009). Beiträge zur cisterciensischen Spiritualität (2010) und Auf dem Weg des Lebens. Weisungen aus der Regel des Heiligen Benedikt. In 2019 the EOS-Verlag will publish the book Auch Jesus war eingeladen - Gespräche über die Berufung zur Familie. 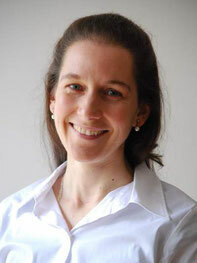 Dr. Elisabeth Luge has a major in German as a foreign language. After two years as a DAAD lecturer at the foreign language school in Shanghai, she returned to the University of Würzburg as a lecturer for German linguistics and earned her PhD in 1996. She is a certified course instructor for Gordon family training, a multiplier for natural conception regulation according to Prof. Rötzer, as well as an Assistant of Community, tf TZI/IR. She has been a trained TeenSTAR course instructor for 8 years and is currently involved in training herself; in 2015 she was called into the board of directors of TeenSTAR Germany. Prof. Dr. theol. habil. 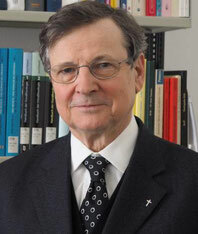 Stephan E. Müller, emeritus Ordinarius for Moral Theology; after studying philosophy and theology in Frankfurt, Mainz and Münster, ordained priest in 1975; subsequently active in various pastoral care positions. 1982 doctorate (Dr. theol. 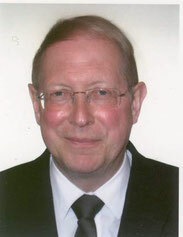 ), 1996 habilitation in moral theology; since 1999 until retirement holder of the chair for moral theology at the Faculty of Theology of the Catholic University Eichstätt-Ingolstadt. 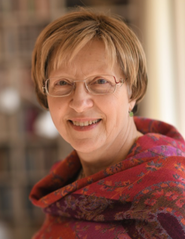 Elisabeth Pesahl is a retired secondary school teacher for the subjects German and geography. After two Montessori trainings she founded the Montessori School in Soden near Aschaffenburg. She is a multiplicator for natural conception regulation according to Prof. Rötzer. In 2002, she finished her training as a TeenSTAR course instructor and works as a pedagogical director for TeenSTAR Germany. Subsequently, she completed further training with Ruth Seubert as Facilitator of Community, tf TZI/IR. She is married and mother of a son. Dr. med. Anne Pralong studied medicine at the University of Lausanne in Switzerland where she received her doctorate in History of Medicine. After her studies, she worked as an assistant physician in internal medicine in Munich before she completed a master's degree in bioethics at the "Institut Johannes Paul II. für Ehe und Familie" at the Lateran University in Rome, where among other things, the theology of the body is taught and researched. She has been working for eight years as a research assistant at the Center for Palliative Medicine at the University Hospital of Cologne. 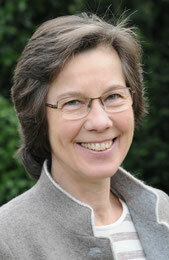 She is also a member of the Clinical Ethics Committee and the Ethics Commission of the University Hospital Bonn. Anne Pralong lives consecrated to God as a member of the Catholic Secular Institute Cruzadas de Santa María. Within the framework of various activities offered by the Institute to young people and families, for several years she has been involved in the organization of marriage preparation courses in which she teaches the basics of the theology of the body. 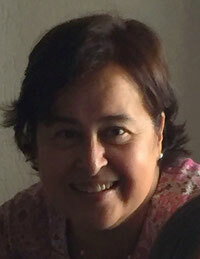 Dr. Teresa Suárez del Villar studied medicine and sexology in Madrid and Alcalá de Henares and holds a master’s degree from The John Paul II. Pontifical Theological Institute for Marriage and Family studies in Rome. 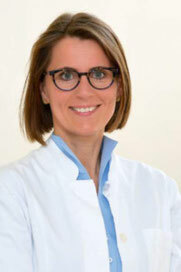 Dr. Susanne van der Velden, born 1969, is a gynecologist and senior physician at the Karl-Leisner-Klinikum in Kleve. After studying medicine, she completed further training and was recognized as a specialist in 2002. In the same year, she completed her doctorate at the Johannes Gutenberg University in Mainz. For several years she was mainly active in prenatal and obstetric medicine. She also studied NaProTechnology (Natural Procreative Technology) at Creighton University Omaha, USA and opened the FertilityCare Clinic at Kleve Hospital in 2009. Van der Velden has specialized in the restorative therapy of primary and secondary sterility, and treats couples from all German-speaking countries and the Benelux region. She is a member of the International Institute for Restorative Reproductive Medicine, the German Association of Gynaecologists and the Advisory Council of the Dutch Pro Life Health Insurance. Van der Velden is married, has three children and lives in Nijmegen, the Netherlands. PD Dr. Christian V. Witt PD Dr. theol. habil. is a Heisenberg Fellow of the German Research Foundation (DFG) at the Leibniz Institute for European History Mainz (IEG) and a private lecturer for Church History at the Kirchliche Hochschule Wuppertal/Bethel. He studied Protestant theology, history and education in Wuppertal and passed the Erste Staatsexamen for the Gymnasiallehramt in 2006. 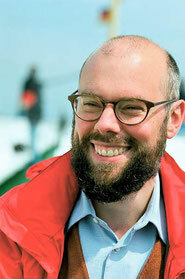 From 2006 to 2010 he worked as a research assistant in Wuppertal, Bonn and Cologne. 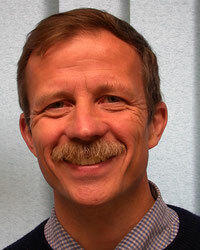 In 2010, he received his PhD in Church History from the Kirchliche Hochschule Wuppertal/Bethel. After the Zweites Staatsexamen for the Gymnasiallehramt he was a research assistant in Wuppertal from 2012 to 2017. In 2015 the habilitation and the award of the Venia legendi by the Kirchliche Hochschule Wuppertal/Bethel took place. From 2017 to 2018 he was a research assistant at the IEG. His research interests include the history of canon law and theology of marriage as well as the history of the Christian-theological interpretation of sexuality.